Each fall for the last half decade, I’ve gotten a precious half hour of time with our new 9th graders just as they are arriving at Common Ground. I get to hear each of their names for the first time, and see them warm into their first week of high school. It’s an incredible gift. Together, we watch a quick video of one of Common Ground’s first students, Nichole Wells, talking about what it was like to build Common Ground from “absolutely nothing.” We walk around campus together. I show them things that earlier students have left behind: a peace pole that Yamil and Khiry planted as part of a senior project on neighborhood violence, an outdoor museum exhibit that James designed, the cabins — built by our youth crew — where these new 9th graders will sleep during their class campout. My goal is to convince these incoming students that they can leave their mark — and that they get to choose how. As we explore our site, I ask them to write down what they want to change about this place, and what they want to help keep the same. We talk about how much energy it takes to sustain and steward things — how this takes constant effort, as does making real and lasting change. I always wonder if this message sticks. Not my words on their second day of high school — I know most of them forget what I say in the flood of new experiences. But this larger message, which Common Ground tries to share in a thousand small and large ways: When you see something unjust, you can resist it. When find a seed, you can help it thrive. You are a leader, and you get to decide how to use your power. 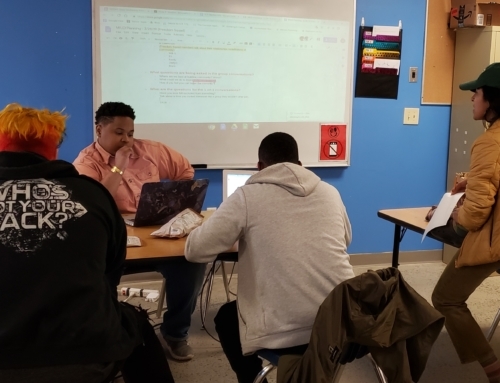 Right now, we are sifting through some new evidence about how our students grow as powerful changemakers between 9th grade and their senior year. 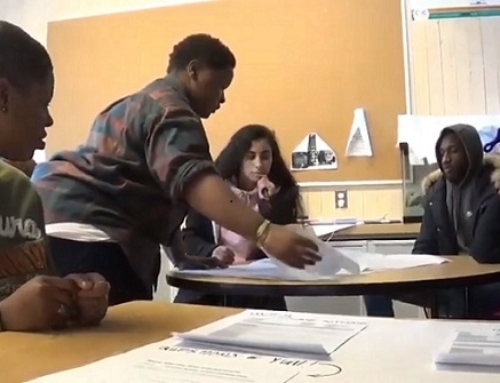 Last spring, with help from Rupu Gupta and Shuli Rank at NewKnowledge — a non-profit evaluation group based in New York — we surveyed all the 9th and 12th graders in our school, asking them some pretty big questions. Do you see yourself as a leader? As someone who make a difference in their community? Do you see a connection between environmental issues and social justice challenges? Are you interested in exploring an environmental career — and what does this mean to you? And we’ve asked students at four other urban public high schools — all of which have a school-wide focus on sustainability and social justice — the same set of questions. With help from Common Ground staff member Elena Augucewicz, I’ve just broken down their answers results by grade — and am learning so much about how Common Ground is doing in building our students’ capacity to build a more just and sustainable world. 1. 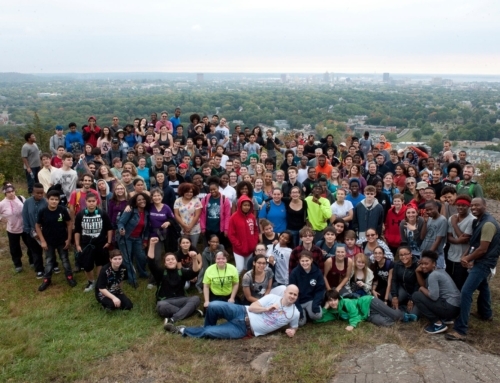 Between 9th grade and 12th grade, Common Ground students grow to see themselves as agents of change. 2. 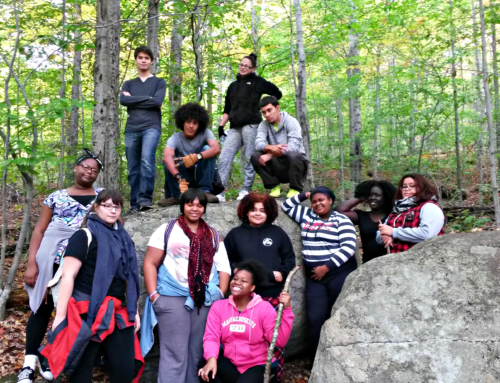 By senior year, Common Ground students are also more likely to be commmitted to the environment and social justice. 3. Many 9th and 12th graders see connections between environmental issues and social justice concerns — and 12th graders often see stronger connections. Still, there’s room to help our students see these connections more clearly at all grade levels — particularly when it comes to racism and poverty. The results shared here are from surveys students completed last spring, just as the school year came to a close. I am so curious to hear what this year’s 9th graders say by the time June arrives. 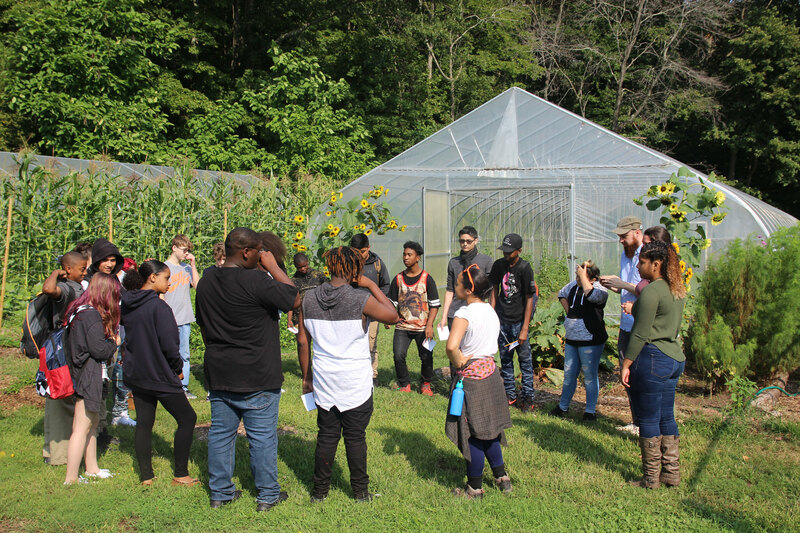 On the first day of Common Ground’s new integrated 9th grade core, students circle up in our production garden. This year is a big one for Common Ground’s 9th grade class. 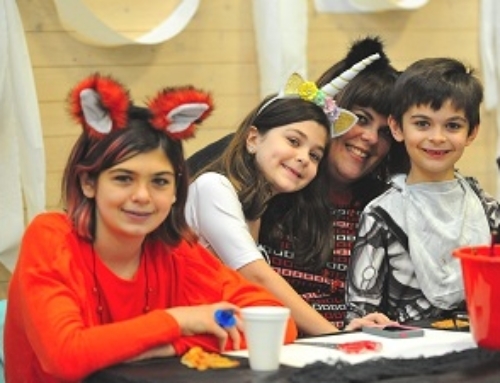 They are the first to experience a new, integrated core curriculum that brings together science, social studies, math, and language arts to tackle big questions about food, survival, equity, and change. They’ll be challenged throughout the year to stretch themselves as leaders, to think about how they want to make a difference in their communities, to dive deep into both environmental and social justice issues. Do you see yourself as an agent of change? Are you someone who makes a difference in your community? Do you see a connection between racism, poverty, and the environment? Are your experiences at Common Ground changing how you think about these things? Stay tuned for our students’ answers — and let us know if you have ideas about how we can keep supporting our students as they grow into critical thinkers and powerful agents of change.